When it comes to dealing with Somalian pirates, no country is taking a stronger stand against piracy than South Korea. While most companies who get attacked by pirates pay the ransom to get their crew and ships returned, South Korea turns to its military first and negotiates second. South Korean special forces stormed the hijacked ship Samho Jewelry and killed 8 pirates in the process of freeing 21 hostages. They didn’t use lasers, just guns. The hostages, 8 from South Korea, 11 from Myanmar, and 2 from Indonesia, were rescued. The captain of the ship was injured by a hijacker, but his shooter was soon killed and the captain will recover. 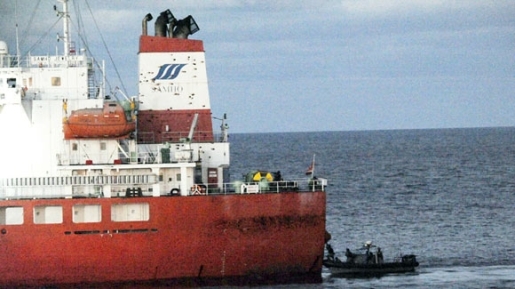 This is the second ship from Samho Shipping to be hijacked; the previous ship, the Samho Dream, was freed by the pirates in November after seven months’ captivity.